Multi-cloud provides businesses with the control of private cloud and the business agility of public platforms. It’s no secret that the hybrid cloud has become one of the hottest topics of discussion in the technology industry, and deservedly so. Using a mix of platforms gives businesses an additional level of flexibility when it comes to enabling future growth and meeting customer needs. According to analyst firm 451 Research, they estimate that 69% of enterprises will be running hybrid IT environments by 2019, while Gartner predicts that 90% of organisations will adopt hybrid infrastructure management capabilities by 2020. Hybrid is clearly here to stay, but it is not the only cloud trend garnering the attention of CIOs and CTOs from all over the world. 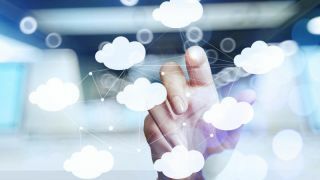 In recent months, it has been overtaken by its close relative ‘multi-cloud’ as the preferred way forward, with 79% of businesses already admitting to working with more than one cloud provider. As such, it is widely considered to be the future of cloud computing. This opens up a wave of new opportunities for creative innovation, such as enabling organisations to ‘fail fast’ and rapidly roll out new services to customers. As the name suggests, multi-cloud refers to the use of multiple cloud vendors and providers within a business architecture - across a mix of public and private platforms - thereby enabling organisations to separate different workloads into different environments depending on their specific requirements. It also gives businesses the best of both worlds, combining the control of private cloud with the business agility offered by public platforms. From both a business agility and cost-efficiency point of view, achieving a balance of both public and private cloud options is proving to be a successful winning tactic. However, there are still some people who are yet to be fully convinced about adopting a multi-cloud approach. The inherent technical challenges of multi-cloud deployments have the potential to cause difficulties and amplify already-existing business pressures. This is especially true for those organisations that lack the in-house skills required to carry out such a transformation, a prevalent issue amidst a much-publicised industry wide skills gap. And it’s something that many businesses have quickly realised as they have continued along their deployment journeys. Indeed, technical and skills challenges were identified as critical learnings from managing multiple clouds by more than half (57%) of senior IT leaders in a recent study. This followed closely behind integrating legacy systems (62%) and simply understanding the new technology (61%), both of which highlight the importance of finding the right partners and properly planning deployments as opposed to jumping in headfirst. Finally, as with virtually any technology in today’s climate, security is also a big concern. Some businesses are under the impression that integrating multiple different systems into one environment has the potential to result in security holes. With strict legislation such as the new European General Data Protection Regulations (GDPR) changing the way businesses think about data security and privacy, it is an issue that is at the very forefront of many people’s minds. So, that leaves the question: why multi-cloud? Well firstly, it means businesses can avoid vendor lock-in and reduce their dependence on a single vendor. This has become a key concern for the majority of enterprises, especially those that have found themselves having to rely on traditional vendors that simply are not able to offer a complete cloud package to their customers. Not only does a multi-cloud approach therefore enable businesses to leverage the best of every cloud platform available to them rather than having to compromise, it could also save a significant amount of money. Customers are no longer at the mercy of a vendor’s decision to suddenly increase costs, with the freedom of choice that the multi-cloud offers also enabling them to maximise their ROI and become much more cost efficient. According to a recent survey, cost optimisation was seen as the biggest driver to adopting a multi-cloud setup, with the flexibility to spread across both public and private platforms and spin up whatever resources are needed to solve specific needs optimising the return on cloud investments. This is true from both a CapEx and OpEx perspective. Businesses that have a long-term, steady compute requirement can run this privately and keep their costs predictable, while still having the flexibility to turn to the public cloud for any variable capacity needs. Finally, a multi-cloud strategy gives companies the ability to quickly react to industry and competitor developments. Agility and flexibility are essential components of any modern organisation, both of which could be the difference between getting ahead of the competition or falling behind. Ultimately, in today’s technology landscape every institution should have a plan to operate in a multi-cloud way. The journey may not be entirely straightforward, but a balance of public and private platforms is quickly proving to be the ideal deployment option for enterprises. That’s why, for any serious organisation looking to lead the way in today’s business landscape, establishing a multi-cloud environment simply has to be the end game.